Do you like action and suspense? 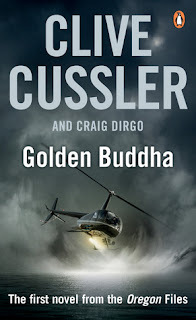 If you do, then the book the Golden Buddha by Clive Cussler is for you. IN the book, the Dalai Lama has been over thrown, by the Chinese invading Tibet. Juan Cabrillo (born in California) and his team must help the Dalai lama by getting the golden Buddha from the thieves who stole it. 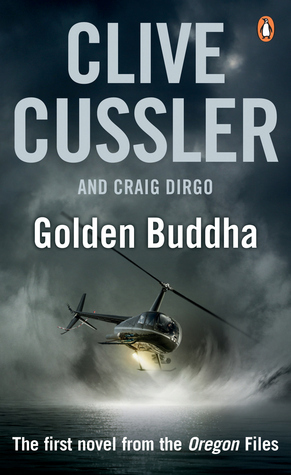 They tracked the Buddha to a billionaire in China. I really like this book because I like the genre of the book. The ship Juan and his crew sail on is magnificent, because it's painted like an old rusty cargo ship and it's so much more. this is the first in the series, The Oregon Files. the setting of the book is in modern times because of all the technology that Juan uses. Juan is really cool because he can speak five different languages, can steer a ship, knows how to hack most computers, and he's a crack shot. He is amazing even though he is handicapped. I would recommend this book to whoever likes spies and traps.